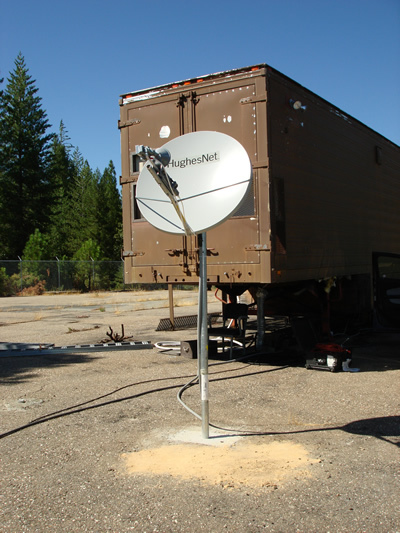 The GGN station located in Quincy, California (QUIN) continued to exhibit communication problems after a site visit earlier this summer where it was determined that the pole supporting the dish was not sturdy enough and needed to be replaced. During this most recent visit, a new Hughes DW7000 VSAT system was installed in order to restore communications to the station. A new heavy duty pole, 8 feet long and 2 inches in diameter, was cemented 3 feet into the ground and will allow the dish to remain stationary and pointed at HR1. This new pole is much thicker and will provide a solid un-moving foundation for the new VSAT. This will allow for a constant and consistent data stream back to JPL. The new system consists of: a HUGHES dish, LNB, and satellite modem. In preparation for the coming winter, the existing antenna, an Ashtech choke ring (ASH701945E_M), was augmented with a SNOW radome. It was discovered on May 6, 2010 that the previous radome (JPLA) was missing. It is unknown exactly when it was removed. The SNOW radome is attached to the antenna with stainless steel hex screws. In addition, the antenna cable was temporarily disconnected from the antenna and greased as preventative maintenance for the coming winter. The work done on the antenna started on Thursday August 12 at 00:35:19 UTC 2010 and ended on Thursday August 12 01:03:01 UTC 2010. The antenna itself was not moved and continues to be secured to the mounting ring in which it sits. Figure 1 - New Hughes DW7000 VSAT system system installed, located about five feet way from the location of the previous Hughes. The old Hughes system was taken down and the pole was cut at ground level. 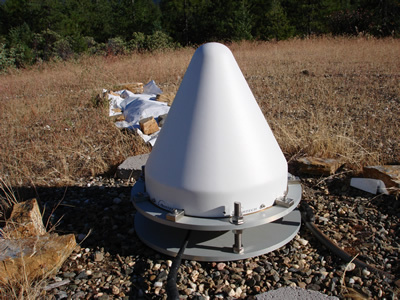 Figure 2 - Asthech antenna and SNOW dome combination.